I think it would be safe to say I have a thing for bees. Ever since people I know and love found out that my name literally translates to “sweet like honey from the bee”, I was swarmed with bee-themed gifts, cards, clothes, supplies, and more. After a while, the bee thing grew on me, and now I can say that I’m slightly obsessed with them. I decided to make this key chain after I wrote a guest post on clay charms for a craft blog. I guess I never really realized how fun and easy this is…and it’s a great way to create personalized charms for wedding favors, baby shower favors, and even gift tags. 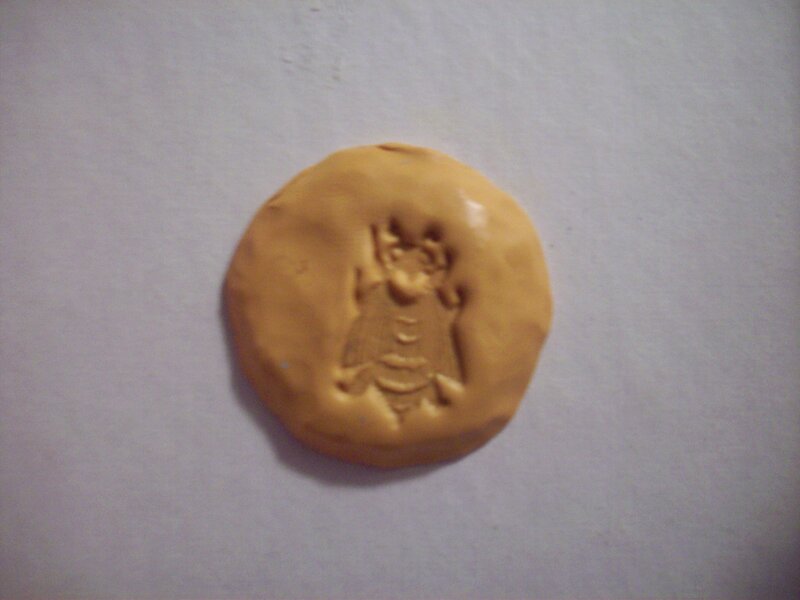 Condition the butterscotch clay until it’s easily workable and roll it into a ball. 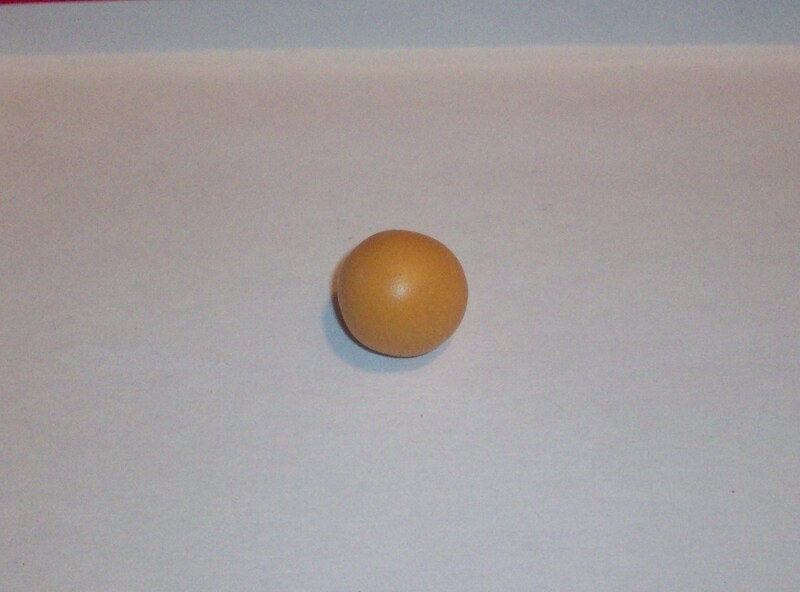 Using a marker, pen, or clay rolling pin, roll out the ball until it forms a circle about 2 inches in diameter. Take your stamp and carefully press it into the clay. 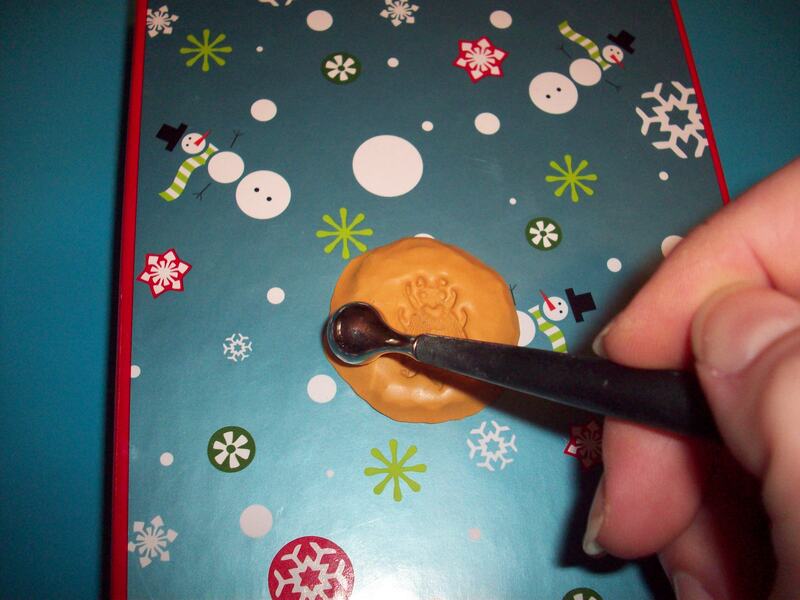 With the sewing pin, create a hole large enough for your ribbon to go through. If you have clay tools, you can add texture to the clay however you’d like. 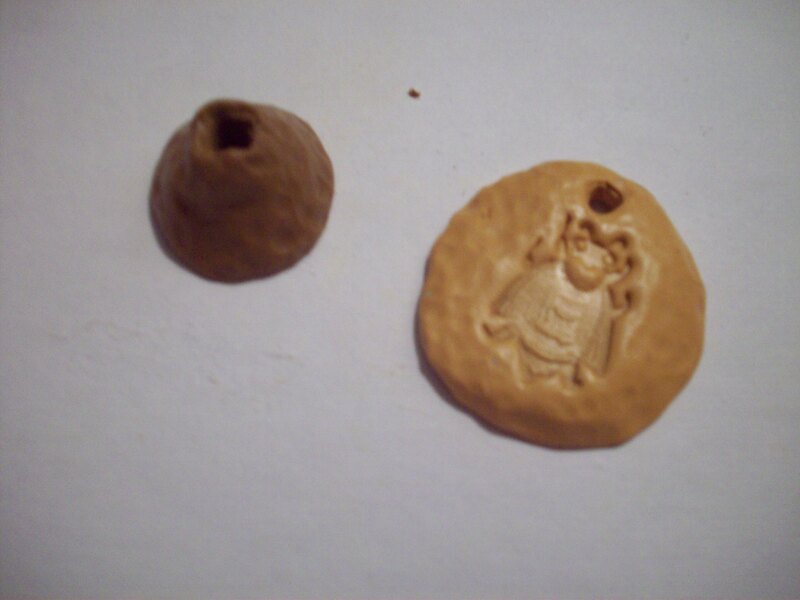 I just used the round head of the pin to make tiny grooves in the clay charm. I like the vintage look of it! Once your charm is the way you want it, set it aside. Condition your Cappuccino clay until it’s easily workable and roll it into a ball. To create a bead, shape it to be the size you want (I did a cone shape to mirror a bee hive) and carefully pull the pin through the bead to create a hole. Once your charm and bead are ready, bake them according to the package directions. If you’re using Sculpey clay, bake at 275 degrees for about 25-30 minutes. After baking, remove from oven and let cool completely. Depending on how workable your ribbon is, you can weave it through your charm. I had to use a tapestry needle to help get my ribbons through the holes on the charm and the bead. 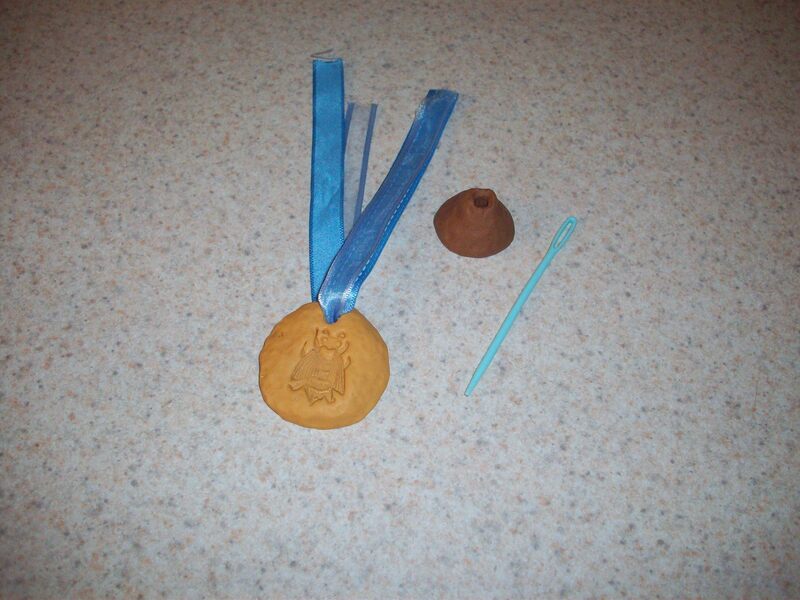 Once the ribbon is through both clay pieces, tie a knot to secure it. If you’d like, you can attach a separate ribbon like I did to the secure knot. 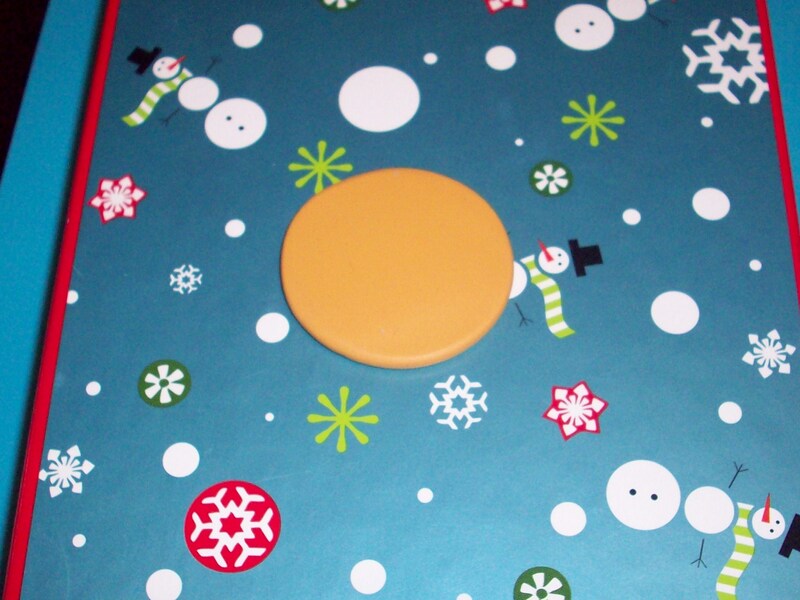 Then I secured that ribbon by gluing 2 like buttons together. I think it looks kind of cute! This is an easy project to make for any occasion. 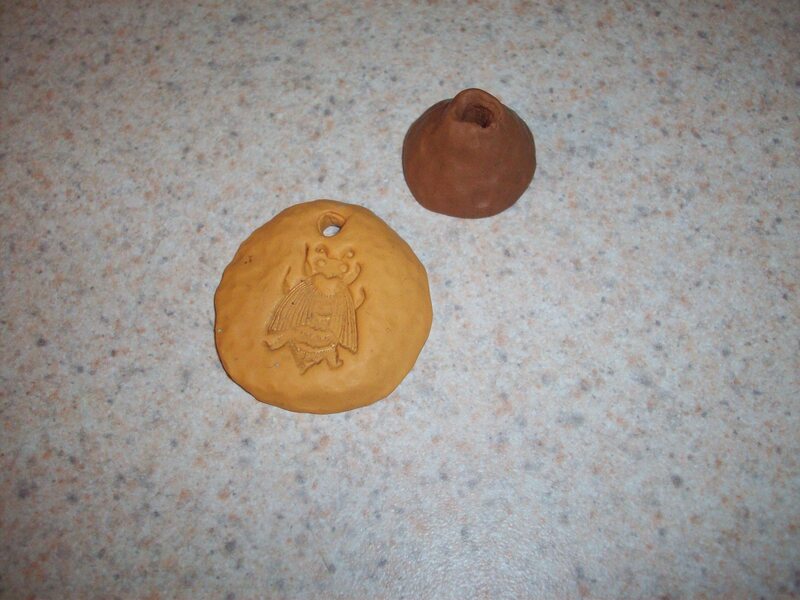 You can easily attach these clay charms to gift packages, wedding favors, necklaces, and more!